Secret crushes getting out in the open. Lemme get that for ya. Love is in the air for our lovable producers and a certain haughty Kpop star! When it looked like things were going to get real messy for the OTPs, things became a lot clearer in this episode. That doesn’t mean that it’s going to be smooth sailing for everyone, but it’s definitely more obvious now who is destined to be with whom. Everything is going so swimmingly for everyone here that even our favorite hot mess of a show, 2D1N, seems to be going off without a hitch! Pancakes all around! THE MORNING AFTER | Seung Chan drunkenly passes out in Ye Jin’s arms after successfully delivering the pancakes that she demanded hours ago. He comes to his senses in a few moments, but barely. Joon Mo shortly arrives home drunk as well, and is super confused to find Seung Chan passed out on his couch. Seung Chan wakes up long enough to call Joon Mo a two-timer and Ye Jin old and bad-tempered. Needless to say, breakfast the next morning is awkward as hell. When they ask him how he knew they were living here, Seung Chan admits to seeing them enter the same apartment the other night. Ye Jin tries every which way to explain to him that she and Joon Mo are only temporarily sharing an address because of her homelessness, and not “living together.” Seung Chan claims that he understands but who really knows. For the sake of his job, he should really pretend that he gets it. A VERY FRIGHTENING LUNCH | Ye Jin isn’t so sure that Seung Chan really understood that there’s no funny biz going on between her and Joon Mo, so she invites him out to lunch to casually threaten him to keep his mouth shut. She tells him to avoid all social media and abstain from drinking from now on. Poor guy. A piece of good news that comes out of this is that Seung Chan finds out that Joon Mo and his noona crush broke up. He’s obviously super happy about it, but c’mon dude, an idol has a crush on you! POWER MOVE | Cindy’s “scandalous” Music Bank performance just keeps on churning out drama. Ye Jin receives a letter from the Korean Communications Commission about Cindy wearing a see-through costume on TV. Annoyed that nobody at Cindy’s company seems to care about all the trouble they’ve caused, Ye Jin tells Cindy’s manager that she’s banned from performing on Music Bank this week. If an apology was what she wanted, Ye Jin is gunna be waiting a long time because even this declaration did nothing to scare them. TERMS & CONDITIONS | So, what’s Cindy doing instead of responding to Ye Jin’s threat to ban her? She’s joining 2D1N, that’s what! It looks like Seung Chan’s previous speech really spoke to her. Heh…or more like she just wanted to see more of his beautiful face on a weekly basis. CEO Byun of Cindy’s company comes charging to the KBS offices to list their demands, but not so fast, ma’am. After lots of negotiating, the PDs are able to convince Cindy’s team that she has to be immersed into the water…up to her ankles. Small victories, right? The 2D1N team is amazed that Cindy would even agree to be on their lowly show in the first place, and is certain that she was convinced by Seung Chan’s good looks. Agreed! You got the art of persuasion. PLATONIC…? | Seung Chan runs into Ye Jin and Joon Mo on his way home, and is able to tell that she’s upset hearing Joon Mo talk on the phone about a blind date. Just as Ye Jin was able to easily deduce that Seung Chan likes Joon Mo’s ex, he also knows that she has feelings for Joon Mo. He helps her carry her package upstairs since her wrist is still hurt from trying to push her car the other day. 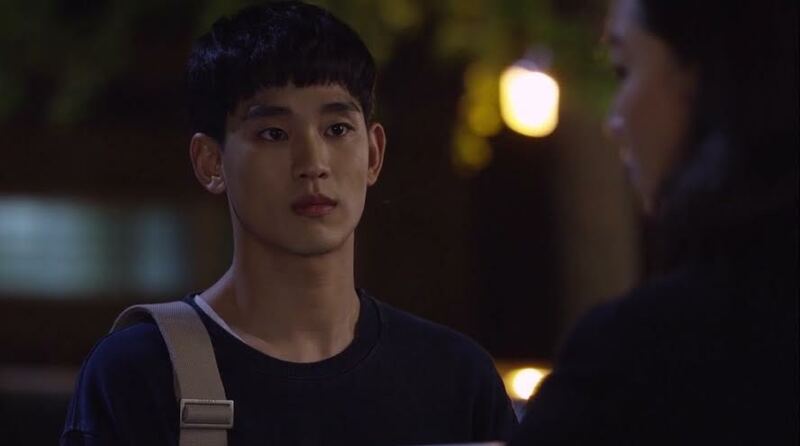 After Seung Chan leaves, Joon Mo acts kinda upset that Ye Jin is always hanging around this new guy. The next morning, Ye Jin wakes up to breakfast laid out on the table and a sweet note from Joon Mo. She repays the favor by helping Seung Chan buy things for him when they are leaving to film 2D1N. 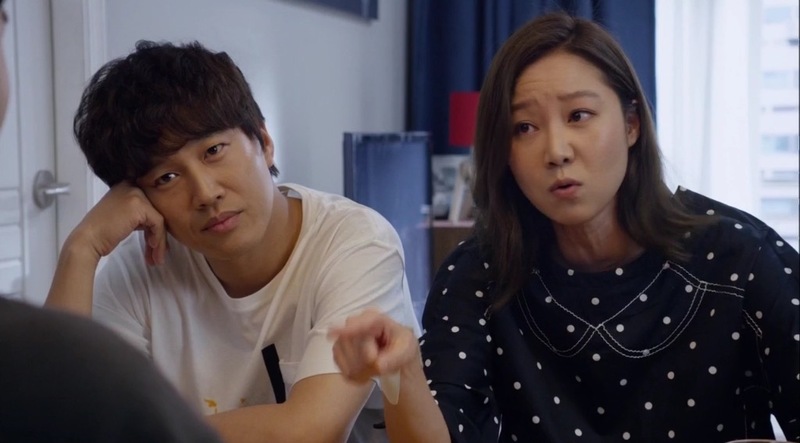 But Ye Jin is still feeling uneasy because Joon Mo’s mom later asks her to set him up with a girl after suspecting him of having a secret live-in girlfriend. Seung Chan totally gets it. REAL VARIETY | After quickly testing some new games for this revamped version of 2D1N, the show’s ready to be filmed! The team tries to catch Cindy by surprise in order to capture the “real” side of her, but she already found out all their tricks from her manager. Ya know, hence why she’s wearing makeup to bed. When all the other idols are gathered to film the premiere episode of 2D1N, everybody (led by 2NE1’s Dara) teams up to exclude Cindy in order to take away her screen time. 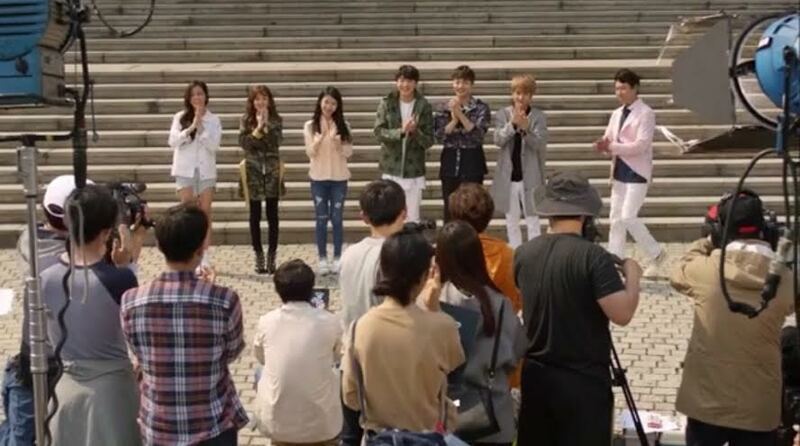 Since this is a matchmaking concept, the guys had to choose which girls they wanted to be paired up with. And surprise, surprise, nobody picks Cindy. Her “punishment” for not being picked is having to trek through the woods with Seung Chan to the campsite, instead of traveling with the rest of the group. KNOCK, KNOCK | Even though Cindy said that she’s the one who’s trying to make Seung Chan fall in love with her, it’s so obvious that she’s already likes him. Prior to filming 2D1N, Cindy called him to meet up in the KBS parking lot. When he’s knocking on her car door, she purposely didn’t open it right away because she wanted to look at how cute he was acting through the tinted windows. Her favorite part, of course, is when he put his face against the window to look inside…and unknowingly, right at her. Eeek! Enjoying the view there, Cinds?